All Hip Hop Archive: The Almighty R.S.O. - Doomsday Forever R.S.O. 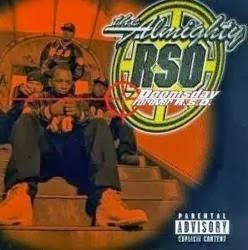 The Almighty R.S.O. - Doomsday Forever R.S.O. Name: The Almighty R.S.O. - Doomsday Forever R.S.O. Download The Almighty R.S.O. - Doomsday Forever R.S.O. Labels: 1996, 8Ball, M.O.P., Mad Lion, MJG, Mobb Deep, Smif-N-Wessun, The Almighty R.S.O.